North Carolina is in the middle of a battle to determine whether or not hydraulic fracturing should be allowed. I have mixed feelings about having the industry here. I have seen Gasland and for a long while after, I was entirely against it. I watched the news coverage of the BP oil fiaso, and am aware of numerous other oil disasters. Here is a list that takes you to just before the BP incident. People have said that because there is so much redundancy in a nuclear power plant and because every deail is picked over so intently that nothing can go wrong. Here is a list of nuclear incidents you likely would not have heard about in mainstream media. A study is taking place to see how feasible hydraulic fracturing would be for North Carolina. The study, which can be found here, preliminarily reports that with proper regulation fracking can be prosperous. Even without the lists of examples of how bad and/or even good regulation fails to prevent incidents, many people readily admit how ill equipped government is to ensure the best interests of its populous. 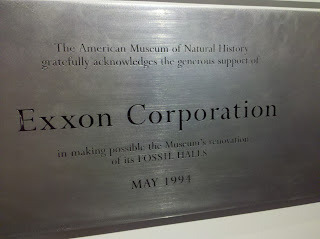 I took this picture at AMNH during a trip to New York because it was loaded with irony. I feel it highlights the contradictions people set up around themselves as they try to resolve energy conflicts. On the other hand, I am aware of the current state of the renewable industries, the free-for-all as everyone tries to come up with the next most efficient product, the lack of standardization that makes committing to 1 company unnecessarily risky, and the small percentage of renewables currently in use. In this TED talk, T Boone Pickens, makes a good argument of using natural gas as a bridge to the future. However, even Pickens admits that he does not know where the bridge goes. He admits repeatedly, jokingly, that the future is not his problem. He is right, it is not his problem. It is everyone elses’. If he has children then it is their problem. I believe solar energy along with the necessary advances in battery technology will be developed and competitive enough that as fossil fuel demand increases the total energy supply will not be an issue. Also, since the supply will be diversified the industry will be more elastic. Energy supply will not be the problem. Lack of funding is the problem. Because the need for an alternate fuel source will not be great enough once fracking has been deemed our energy savior, investments in renewable energy sources will pull back. Other countries, tired of suckling to a single fuel line from a single country and hurting from payment of exorbitant fees will take the lead. America, the great innovator, is in some ways already lagging behind the likes of China, Germany, and Brazil. Those countries will only be the beginning. Fuel crises continually arise as a single fuel pipeline cuts through several European/Eurasian countries. The benefit of being self reliant is too great for many of these countries to ignore. If America does not take the lead in innovation in addition to being indebted to OPEC nations we will have a whole other host of nations to rely on. As hurtful as it is to say, America needs hard times. Those hard times are what drives invention. People cry to go back to the fuel bottle, but they must be weaned off it to grow past our present predicaments. T Boone Pickens portrayed himself to be a neglectful parent, both to his children and to his country by acknowledging there is a problem and refusing to address the issue. There are people that say you would be eliminating thousands of jobs by introducing a dramatic change in industry. Not so much eliminating, as displacing. The jobs that would be lost producing fossil fuels and destroying ecosystems would be gained in the renewable industry and in developing new infrastructure to support it. If this is a dramatic and sudden change, yes, the change would be devastating. To prevent any sudden changes, it is perfectly fine to proceed with some natural gas extraction, but ensure funds are raised and location is considered to mitigate the environmental risks. Contracts can have terms set that would either force an up front cost and/or to resolve any issues. There have been legal obligations in the past, although were they enough? A decade after the Exxon Valdez spill digging 6” into sand at the beaches and you pull up an oily brine. How are the tourist industry jobs recovered? BP utilized surfactants to disperse and dissolve the oils as they floated up in the Gulf of Mexico. The greatest benefit, whether BP intended it or not, was that aerial photos showed no signs of oil. However, chemicals that settled at the bottom decimated colonies of shrimp and other sea life which harmed another popular area industry. How are those jobs recovered? Representatives of a company are legally obligated to act in the greatest interest of the shareholders and thus the company; not to protect the environment, not to protect citizens’ jobs. 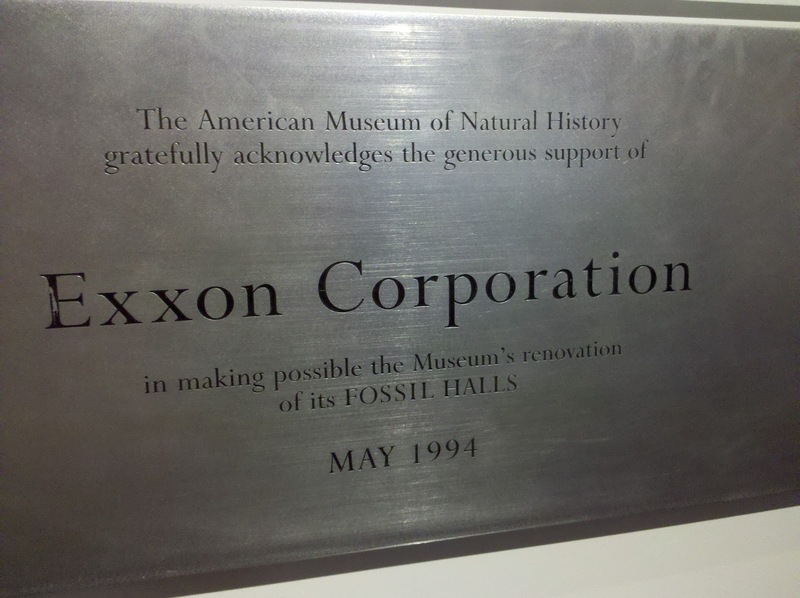 If you are thinking, ‘but their reputation would be hurt by not protecting the other aspect’, then I have to ask, what was your first thought when I mentioned Exxon Valdez and BP oil spill? Was it a sort of groan? Or ‘he’s one of those guys?’ Or ‘not that old topic again’? Corporations have enough options open to them to protect themselves for the amount of time that the typical citizen can stand to hear about a topic. Besides, it is primarily an inelastic market. Forcing the oil corps to clean up their own mess will only result in raising the cost of oil to the consumer in a reactive rather than proactive manner. What other option do you have? The government can raise the price of a gallon of fuel. That candidate would quickly be run out of office next term. It reminds me of a party a friend threw recently. The friend did not want to invite certain people for different reasons, but at the same time he did not want to seem rude to those same people. He had another friend invite people for him. This way when someone asked either party host, ‘Why didn’t you invite me?’ He could respond that the other person, which ever person it was, must have forgot. In our oil instance it would simply be passing the blame to another area of government. Obama was an event organizer. He should be able to get that deal together easily. Alright, any conservative reading this should have been able to appreciate that remark at least. So, in summary, the contractual agreement between government and oil company needs to strongly encourage the company to diversify its portfolio into renewable investments which help to make the market more elastic. Eventually, rather than fighting the use of renewables, it will be a perfectly justifiable option to discuss with shareholders. Some of this cost would still come back to the consumer, but it would be a better value for the dollar. The endeavor is always going to pose environmental risks, but there is no reason the locations should not be prioritized into only operating in the areas of least impact first. For North Carolina, that risk seems too great. Oil companies love to advertise to states about the pockets of resources they have found, but they do not advertise the impacts. And state sponsored studies only look at their own feasibility. The federal government should conduct this study and map out when each state would be allowed to proceed. They are not preventing drilling, only prioritizing it. The study, along with regulating the fossil fuel supply can be used as a tool to manipulate the fuel prices to the consumer to build necessary funds for risk mitigation, to promote federal level infrastructure changes to make other resources a viable option for the future, and to help direct public perception towards the cleaner side of energy production. Because, as Pickens inferred, it is up to us whether we like what we see at the other side of the bridge.